The cardholder withdrew permission to charge the account for a recurring transaction or, in the Europe Region, an installment transaction (All Regions) OR The acquirer or merchant received notification that the cardholder's account was closed or, in the Europe Region, facilities were withdrawn or the cardholder was deceased, before the transaction was processed (All Regions). OR The transaction amount was not within the range of preauthorized amounts by the cardholder, or the merchant had agreed to notify the cardholder before processing each recurring transaction, and the merchant either: did not notify the cardholder in writing at least 10 calendar days before the transaction date, or notified the cardholder at least 10 calendar days before the transaction date but the cardholder did not consent to the charge (US/Domestic Only). Provide documentation to prove that the service was not cancelled or to show that neither you nor the acquirer were notified that the account was closed. In all regions excluding Europe, you may also provide documentation to prove that the transaction was not previously charged back. 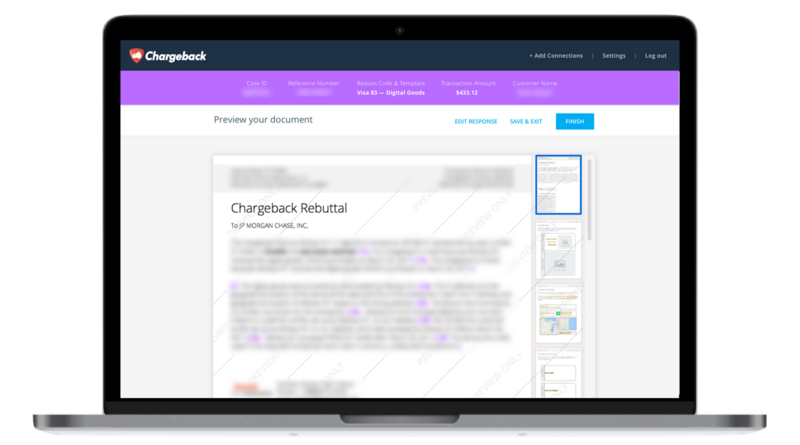 Use the Chargeback App to respond to Visa Chargeback Reason Code 41.